For over fifty years now, Hengst has been providing the automotive and engine industry as well as industrial and environmental engineering with innovative ideas and solutions in the field of filtration and fluid management. Expertise from the original equipment sector guarantees the highest quality in the spare parts range as well - with products that are always state-of-the-art, yet individually tailored to the relevant application. A family owned company with nine locations throughout Europe, North America, South America and Asia, Hengst are a leading provider of fluid management modules, crankcase ventilation systems and filter technology for oil, fuel, air, and cabin filtration. 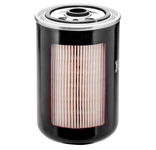 Hengst air filters remove particles of dust, dirt and soot from the intake air and thereby prevent accelerated engine wear and damage to sensitive electronic components. They contain state-of-the-art filter media that have been specially impregnated to resist heat and humidity. These top-of-the-line products combine OE quality, precise fit and stability. When they are replaced at the specified intervals, these air filters guarantee optimum control of the fuel-air mixture and thus optimum combustion. The advantages are apparent. Engine performance is improved, engine life is extended and the total cost of ownership can be reduced by eliminating the need for expensive repairs. 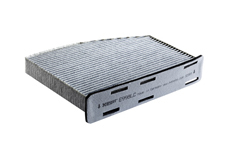 The air filter forms the heart of the complete air intake system, whether as a round or plate air filter insert. The various designs sometimes have stabilization beads or meshes. Safety elements are the solution when the operating conditions for commercial vehicles, agricultural and construction machinery are especially dusty. 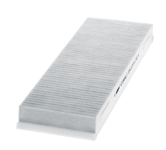 The safety element provides protection against dirt particles when replacing the main air filter. The air screw-on filter usually consists of a sheet steel housing with pressure-resistant screw-on plate, in which the filter insert is located. The entire system is replaced during servicing. Hengst screw-on oil filters are made of a sheet steel housing with a pressure-tight crimped screw-on plate that contains the filter element. Changing the filter requires replacing this entire system. Hengst fuel filters remove particles of rust and dust, tank residues, water and other substances that can adversely affect the operation of modern fuel injection systems. Hengst fuel filter inserts are used in Diesel engines of passenger cars, commercial vehicles, agricultural machinery and construction equipment. The only service that is required is the replacement of the filter insert. The valves and the filter housing that contains the fuel filter insert remain fixed to the engine block for their entire service lives. Hengst fuel line filters are used in specific gasoline and Diesel engines of passenger cars and are installed between the fuel lines. They are precisely coordinated with the modern and highly sensitive fuel injection systems and also have pressure regulators and thermostat valves. Hengst air filters remove particles of dust, dirt and soot from the intake air and thereby prevent accelerated engine wear and damage to sensitive electronic components. They contain state-of-the-art filter media that have been specially impregnated to resist heat and humidity. These top-of-the-line products combine OE quality, precise fit and stability. When they are replaced at the specified intervals, these air filters guarantee optimum control of the fuel-air mixture and thus optimum combustion. The advantages are apparent. Engine performance is improved, engine life is extended and the total cost of ownership can be reduced by eliminating the need for expensive repairs. A pollen filter removes spores, pollen, particulates, bacteria, fungi and road dust. Larger particles (> 3µm) are mechanically separated from the airflow by the dense weave of the filter fabric, although extremely tiny particles such as Diesel soot may not be removed. A combination filter with a laminated construction consisting of particle filter fabric, activated carbon layer and substrate medium, can absorb both particles like the pollen filter as well as odors and harmful gases. Take a tour of discovery with us and see for yourself what makes Hengst such a successful company.